Does your country use helmet cameras? 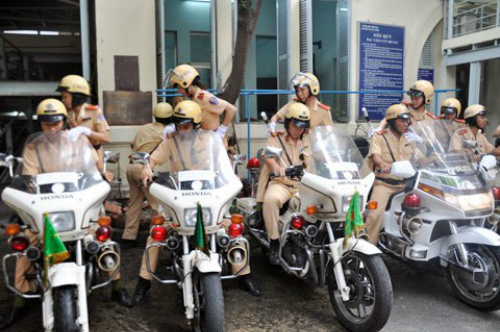 What do you think of a HCM City proposal to provide 200 traffic police with helmet-cameras to catch traffic violators and provide evidence against them? The city's Traffic Safety Committee has asked the Bloomberg Philanthropies Fund to back the venture. The move is aimed at nabbing many cheeky drivers who will not admit they have done wrong. HCM City is one of 10 cities helped by the Bloomberg fund to improve traffic law enforcement and minimise traffic accidents. It has spent US$120 million on the exercise so far. What is your thought of the proposal? Do you think it will reduce traffic violations, or do you think it will waste too much time if traffic police have to take the evidence to court? Does your country use helmet cameras?